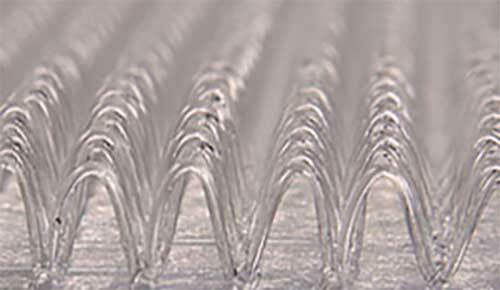 The resin tape is a textile flowing aid which optimizes the vacuum infusion process (VIP). The vacuum infusion process is used for the manufacturing of composites. 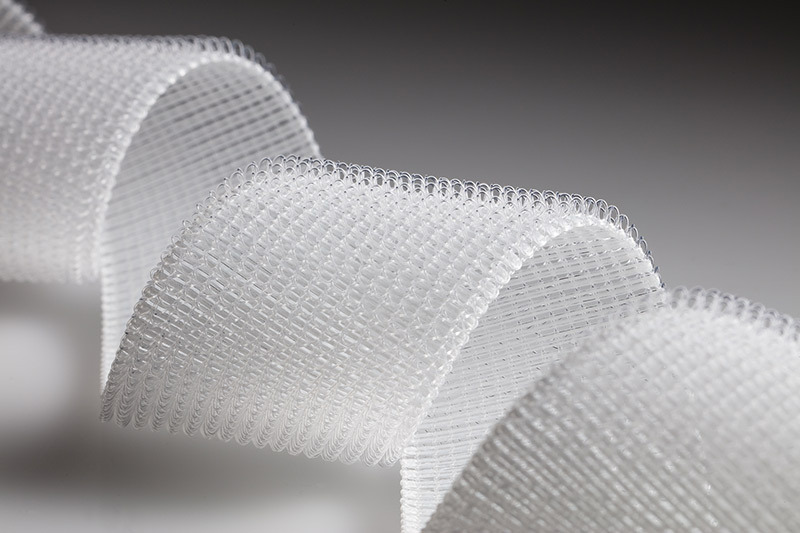 The resin tape is composed of a knitted structure and consists of loops which are made-up of monofilaments. These loops form the flowing channel which transports the resin equally into the component part. The resin tape supports the vacuum infusion process. It transports the resin equally into the compound and is responsible for evacuating the air of the vacuum compound. At the entrance side, the resin tape is used for the leading-in of the resin and at the exit side it is used for the evacuation of the air and the surplus resin. Adapter as connecting piece between resin entrance and teflon tube. Single available (item number: 15010).